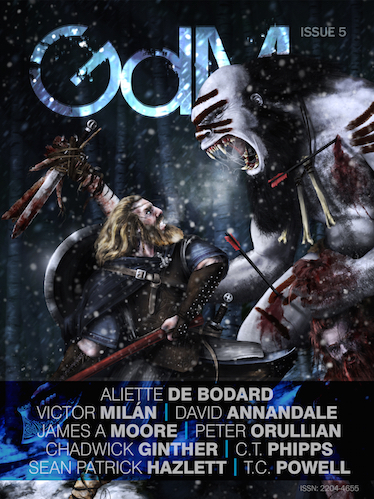 I’m excited to report that my short story “Boomer Hunter” is in the current issue of Grimdark Magazine. And yes, the story is about exactly what you think it is. In addition to having grimdark themes, the story is what I would consider economic science fiction, if such a sub-genre even exists. This particular piece posits what might happen to U.S. fiscal and entitlement policy if bondholders flooded the bond market with U.S. Treasury bonds and the cost of servicing future U.S. debt ballooned because of rising interest rates. Admittedly, the lengths to which the U.S. government goes in this story to avoid paying the unsustainable costs of its entitlement policies in a high interest rate environment are extreme and gives a whole new meaning to the phrase “the dismal science”, but nonetheless make for an entertaining speculative story. I look forward to hearing what folks think about the story. This entry was posted in Blogging, Business, California, China, Finance and Economics, Healthcare, Policy, Politics, Predictions, Science Fiction, Social Security, Writing and tagged Baby Boomers, Boomer Hunter, economic science fiction, Economics, Grimdark Magazine, Marine Corps, Medicaid, Medicare, Mercenaries, Private Military Companies, Science Fiction, the dismal science, US Treasury Bonds, Veterans, Vietnam. Bookmark the permalink.